As it’s the last day of the year, I thought I should write something for this blog, which has truly been one of the most enjoyable parts of 2014, especially when cooped up inside for weeks recently. 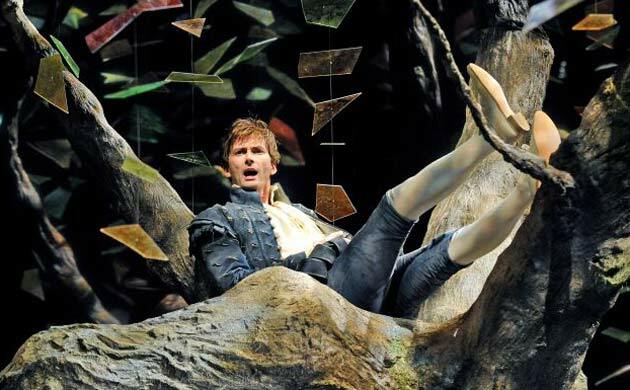 So, to end the year I’ve chosen to post my next Defining Roles article about the actor who, in 2008, reignited my love of theatre and helped me see that Shakespeare could be accessible and wonderful when the production is right. His film career may not, as yet, have brought him a great role, however through his extensive television and stage work David Tennant proves time and again what a fantastic actor he is and I’ll certainly continue to follow his career with great interest. So, here are my top ten defining roles of his career to date. Nothing else could be number one besides his stunning performance as the Prince of Denmark, in what most people class as Shakespeare’s most challenging role. This production had an incredible impact on me. I’d almost certainly not have met some of my closest friends and perhaps would not have become such a passionate theatregoer had I not travelled to Stratford-Upon-Avon in August 2008 to see this for the first time. As Hamlet, he is vulnerable, playful, funny, dark and commanded the stage in a production with an already strong ensemble. I was mesmerised every time. I hope the upcoming Cumberbatch Hamlet has a similar effect on a new generation. 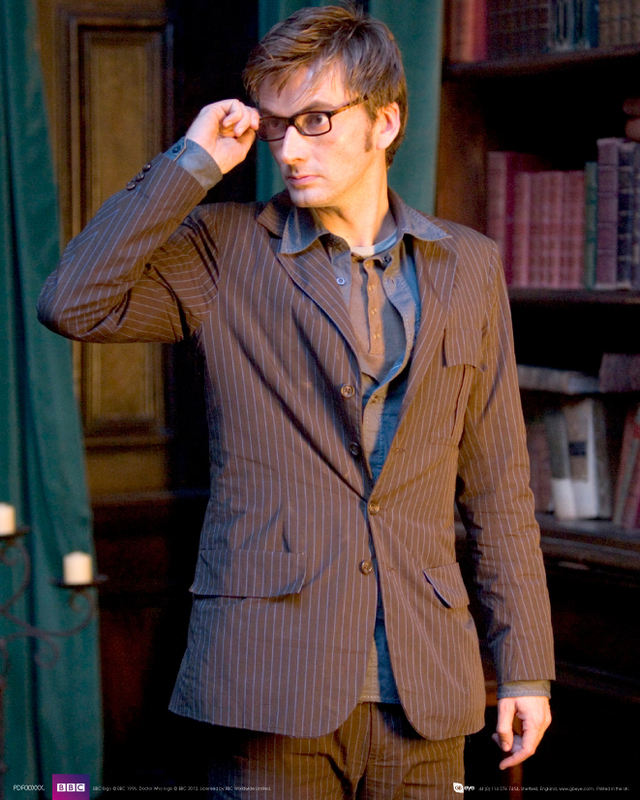 The Tenth Doctor remains one of the roles David is most known for and with such a brilliant portrayal of a British television icon, that’s not a surprise. I’d loved Chris Eccleston and was very sad to hear he was leaving, but The Christmas Invasion made it clear from the outset that the TARDIS was in the best hands. 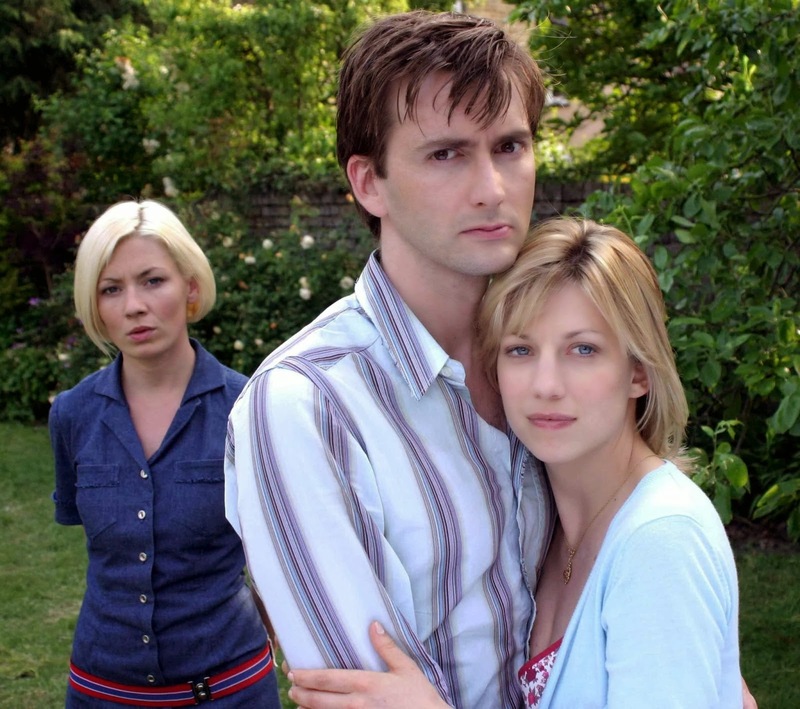 Some perhaps find his Doctor too human due to his more emotional personality traits, but I loved Russell T Davies’ more emotional era and its sense of fun. Doctor number ten is intelligent, boyish, witty, fun, but is still capable of moments of darkness (The Family of Blood and Waters of Mars for example). More importantly, David’s performance drew a new set of fans to the series and although some may have left with him, many have remained and that’s something he should be congratulated for. 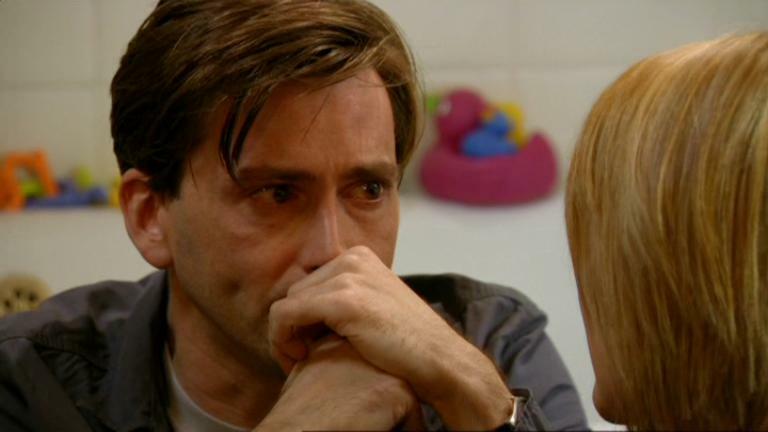 It still frustrates me seven years on that David Tennant’s performance in ITV’s drama Recovery did not win him a BAFTA. It remains for me, one of the finest performances of any actor on television and deserved far more attention and praise than it received at the time. Bringing the subject of brain injury and the difficulties faced not just by the person in recovery, but also their family, faced with living with a new person, was truly moving and both David and Sarah Parish are incredible. Sadly for reasons that have never been publicly explained it has also never been released on DVD. Hopefully some day this will change, but if you are able to watch it somehow, I strongly urge you to do so. Blackpool was such a brave concept for a BBC drama and could so easily not have worked. 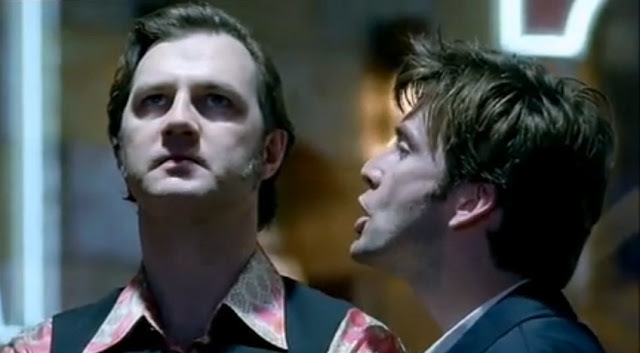 Set in Blackpool, it revolves around the murder investigation of a young man found dead in an amusement arcade owned by Ripley Holden (played by the wonderful David Morrissey), headed by DI Peter Carlisle (Tennant), who begins to suspect Ripley’s involvement in the crime, while also falling for his wife Natalie (Sarah Parish). What sets it apart though, is the addition of singing, as at key moments the characters start singing along to pop songs, such as “These Boots Are Made For Walking.” It sounds bonkers I know, but it actually works, not to mention there are some excellent performances from Morrissey, Parish and Tennant (in what is still, for me, his sexiest role!). Give it a watch if you missed it ten years ago. I missed this stage production live, but thanks to the V&A theatre archive I’ve been able to catch up by viewing their high quality, multi-camera recording. His performance of Jimmy Porter deservedly won him the Critics’ Award for Theatre in Scotland for best male performance and it’s great to see him in a darker, more angry role. However he is also able to maintain the balance between Porter’s angry, violent side and his flawed, vulnerable side, resulting in a powerful ending. I’m confident I’ll revisit this production some time in the future. Secret Smile also allowed Tennant the chance to display his ability to play a darker role in this ITV adaptation of Nicci French’s book. 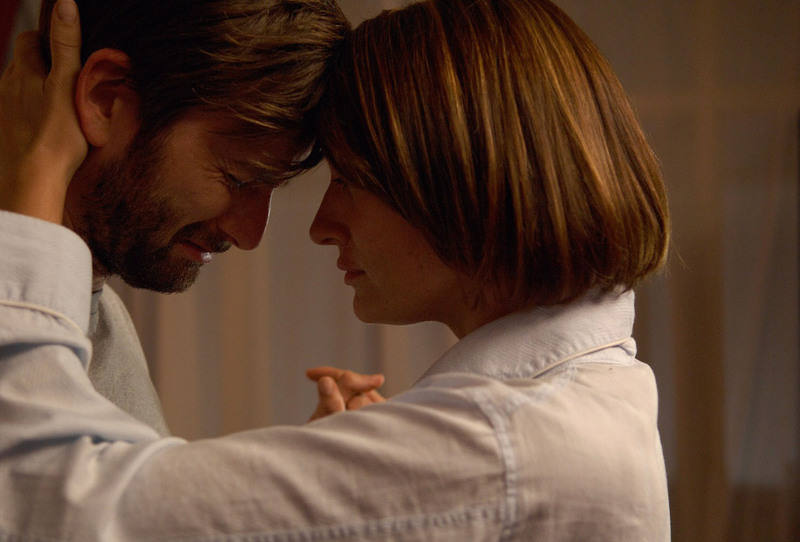 I may find some of the choices made for television a little annoying as someone who’s read the book, but that doesn’t take away from Tennant’s performance as the deeply disturbed and menacing Brendan Block. He appears to be the ideal man, until you start to see his darker nature. It was also amusing that this aired only months before he became the lead in the most popular family programme on British television, demonstrating his ability to play a variety of characters and genres. 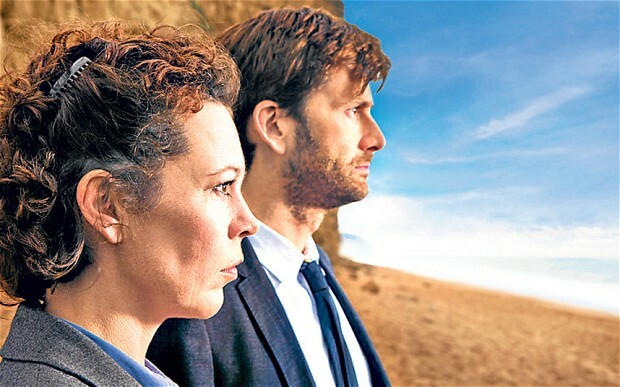 Broadchurch was the television hit of 2013, proving that with quality and a great marketing strategy, event television can still happen in the age of the box set. Finding out who killed Danny Latimer gripped the nation and as well as it’s superb script, this was due to such a strong ensemble cast, led by Olivia Colman and David Tennant. Their partnership and chemistry are a huge part of the show’s success. Hardy is not an easy role, as he tends to be quite still and a man of few words, but David still conveys all the emotions running through his head even when saying nothing at all and I’m looking forward to delving more in to his character in series two, which starts on Monday. If you have yet to watch series one, now is the time! Hamlet may have been the production that grabbed the headlines and media attention in 2008. However it was not the only RSC role David took on that season. Love’s Labour’s Lost was a Shakespeare play I was not familiar with at all and I think Greg Doran’s fun and charming production was a wonderful one to start with. Berowne does not really believe in love and spends the majority of the play mocking the other men as they each fall in love, from his vantage point in the tree above which they each pour out their hearts. David is superb at comedy and his expressions to the audience as he watched them below was hilarious and it was easy to imagine him one day playing Benedick in Much Ado (or Love’s Labour’s Won as it is sometimes called). If only we’d been treated to this on DVD as well as Hamlet. After leaving Doctor Who you wondered what roles David would be taking and one of my favourites remains 2010’s Dave from Single Father. There are flaws to this BBC drama (none more so than the end for me, which annoys me every time), but David conveys the struggle of a man facing a life bringing up his children alone beautifully. His chemistry with Suranne Jones works well, but for me the most moving and impressive scenes are those between him and Natasha Watson, who plays his wife’s teenage daughter Lucy. Both actors are fantastic and their relationship feels genuinely believable. The last of my top ten is another Shakespeare stage performance as, in 2011, David paired up with Catherine Tate to play two of the most fun characters in Shakespeare. Some theatregoers may have sneered at the production, but I loved it for its fun, colourful, vibrant and happy sparkle. Yet again David enabled a fresh audience to come to Shakespeare and enjoy it. He made the play accessible and clear and it’s one of his great strengths. With a fantastic ensemble, the production also contains my favourite stage interpretation of Don Pedro by Adam James, whose friendship with Tennant adds an extra layer of believability to their relationship. Thanks to Digital Theatre, this production can continue to be enjoyed by people worldwide, so if you are looking for something to cheer you up, this might do the trick. Other notable mentions have to be given to Campbell (Takin’ Over The Asylum – BBC, 1994), Richard II (RII, RSC 2013-2014), Casanova (Casanova – BBC 2005), as well as some fantastic work for audio books in Quite Ugly One Morning (Time Warner, 2004) and two utterly brilliant and hilarious stints at Celebrity Autobiography (Leicester Square Theatre, 2010). That’s my list. What would have made your top ten? Thanks for reading over the last 12 months. See you in 2015. 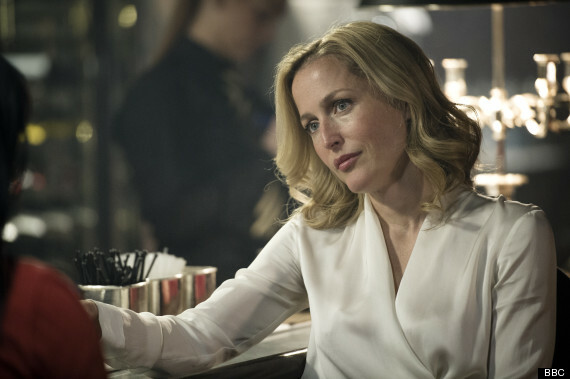 For the second in my series of Defining Roles posts, after starting with Benedict Cumberbatch, I wanted the next post to focus on an actress who I’ve admired for most of my life and who continues to do brilliant and varied work and that’s Gillian Anderson. So…here are my ten defining roles of her career so far. It’s the role she is most recognised for and a character that I so admired as a teenager, so Special Agent Dana Scully still sits at the top of Gillian’s roles for me. Not the studio’s desired choice for Scully, but championed by Chris Carter, this was her first mainstream television role. Taking on the role at 24, who’d have imagined it would still be so iconic 20 years later! We were able to see Gillian grow as an actress over the course of The X-Files, in a role that allowed her to play so many emotions, from the sceptical scientist, to the more open minded Scully of later seasons. She was such a strong female character and I certainly grew up admiring her intelligence and determination and that’s all down to Gillian. I’ve selected my favourite episodes here. I was very excited to see this on its release and thankfully my local art house cinema was showing it. It is a rather tragic story, as we see Lily go from the high levels of society to losing everything she knows. However what still impresses me years later is Gillian’s performance. She is fantastic as Lily, playing her naivety and vulnerability perfectly and I admit I shed a tear by the end. This production of Tennessee Williams’s play is one of my highlights of the theatre year (read my full review here) and Gillian deserves all the praise and awards she is already receiving for her role as Blanche. We see Blanche slowly spiral out of control over the course of the play and as her character gets more and more desperate, Gillian gives absolutely everything to achieve an incredibly moving performance. If you are able to see an encore cinema screening or the upcoming Broadway run, then you shouldn’t hesitate. Outside The X-Files, this is possibly the role in the UK that brought Gillian wider respect and recognition as an actress. 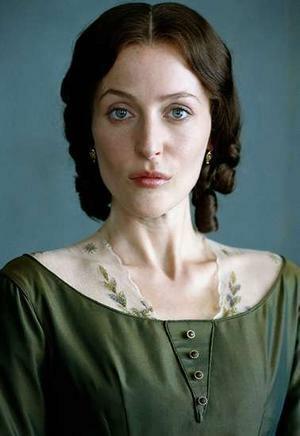 I certainly had family and friends who never watched her as Scully but were impressed by her performance as Lady Dedlock in this Dickens adaptation. Her history is somewhat a mystery throughout, slowly being revealed piece by piece and her desperation and heartbreak are very believable. I must rewatch this drama again soon. Series one of The Fall was a highlight of 2013 television, despite being pretty damn scary. I admit to fast forwarding through some of the scarier moments, but I certainly had to keep watching for the fantastic Stella Gibson. She is quite a mystery and unlike many female characters in drama at the moment. I loved her strong, independent attitude and although nervous about catching up on series two, wouldn’t miss learning more about her. 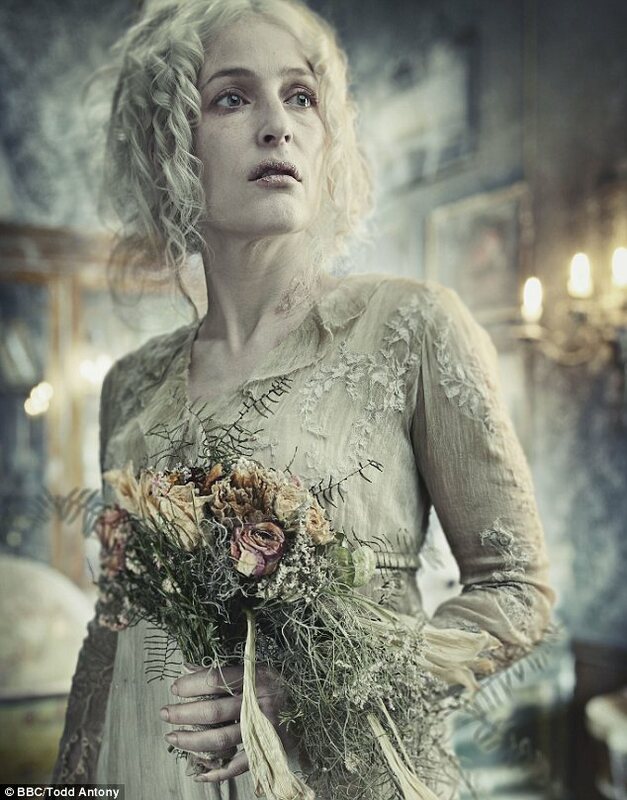 Another Dickens classic adapted for the BBC saw Gillian taking on one of his most famous characters, that of Miss Havisham. Although a younger version than I’ve seen before, Gillian brilliantly captures her madness and despair. This was also where she met Vanessa Kirby (who plays Estella) and it was wonderful to see the pair reunited to play sisters in Streetcar this year. 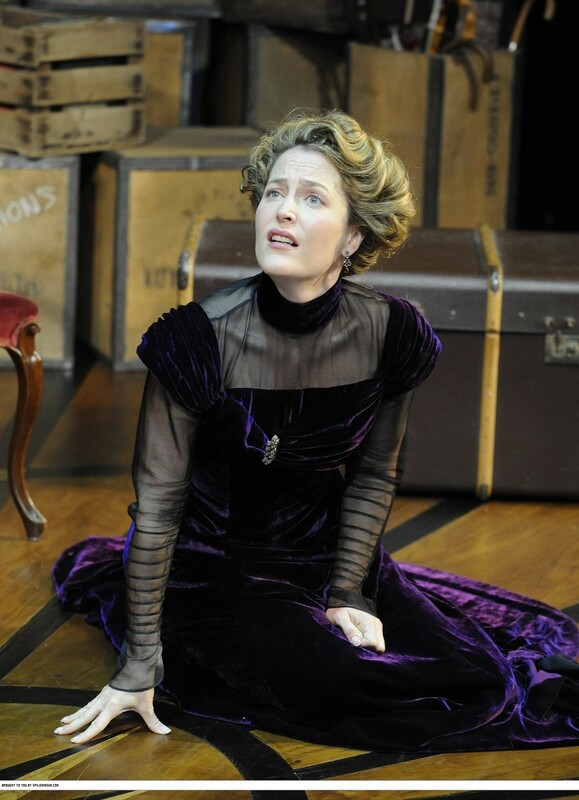 I’d been longing to get a chance to see Gillian on stage and finally had my first opportunity in 2010 when she was cast in this Ibsen play. With a great cast including Toby Stephens and Christopher Eccleston and in such an intimate venue (only 251 seats), Gillian brings Nora to life superbly. She is both childlike and playful, but also secretive and eventually far stronger than you think her capable of being. Not as impressive a performance as Streetcar, but it clearly highlighted Gillian’s growing confidence on stage. I’ve still yet to watch series 2, but I thoroughly enjoyed the first year of Hannibal and was thrilled when Gillian joined the cast as Dr. Lector’s own psychiatrist. She plays the part so well, never giving too much about herself and her past away, while still giving you a sense of her history with Hannibal. I’m looking forward to catching up on what happens to her in advance of series three starting next year. I still have a soft spot for this indie film, which was one of Gillian’s first roles after The X-Files made her a more well known name. It’s only a small role, but Loretta is certainly memorable and as the film was relatively well received, gave her more credibility in these earlier years of her career. 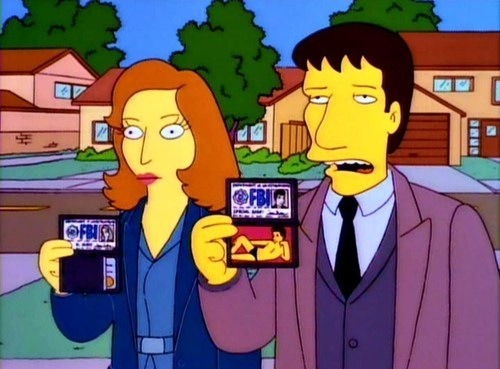 For my final choice, I had to include this Simpsons cameo by David and Gillian as Mulder and Scully. 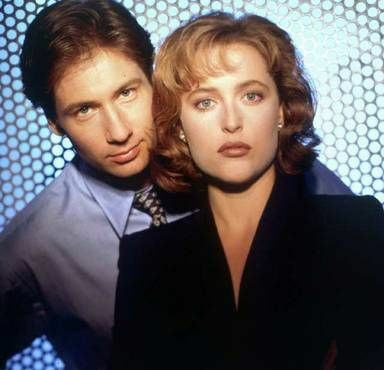 It demonstrated at the time just how popular The X-Files had become and it’s a fantastically funny episode, which allows Gillian to show another side of her acting talents, with some comedic and deadpan voiceover work. So that’s my list. Is there anything you would have included in yours? 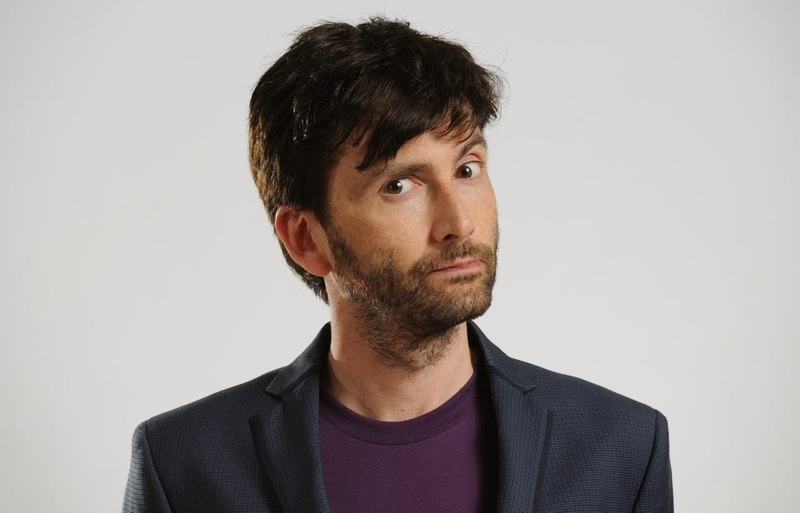 Coming next – another actor whose career I have followed for a long time now – David Tennant. 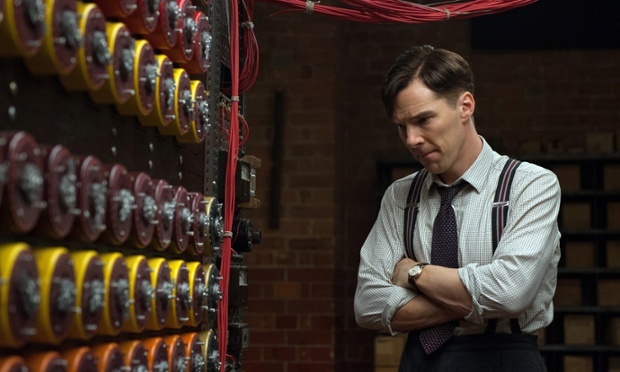 I had the idea for this new series of posts after reading a number of reviews of The Imitation Game, which declared Benedict Cumberbatch’s portrayal of Alan Turing as the performance of his career to date. I found the comment interesting as, although I thought he was excellent, as a fan of his work for a number of years now and after perhaps having seen almost everything he has ever done, I could think of roles which, for me, were worthy of just as much attention and accolade as Turing. So, I’ve decided to start a new series of posts, under the header “Defining Roles” in which I’ll discuss the performances of some of my favourite actors / actresses across their careers, not just on screen but across all mediums. Therefore there seemed no better place to start than with Benedict Cumberbatch himself and below are my 10 favourite roles from his career so far. For me, these are his defining roles, as they capture the range of such a versatile actor, both emotionally, physically and tonally, but also across stage, screen and radio. I can certainly say it’s been a tough choice! For me, this remains the most powerful role of Benedict Cumberbatch’s career to date. With his star on the rise, it was great that he was involved in this small independent film. James has terminal cancer and has a wish to once more visit Barafundle Bay with his three lifelong friends. It’s a beautifully moving film, as we see over their journey secrets confessed, feelings addressed and how important strong friendships are in life. Benedict superbly brings James to life, as he deals with the anger, fear and sadness at not having more time, while also being determined to treasure each and every moment he has left, with those he cares about most. It is a performance that makes me laugh and cry and appreciate the joy of true friendships. If you have yet to see Third Star, you really need to do so. It still astonishes me a decade on that this incredible performance of Stephen Hawking did not win Benedict a BAFTA (this was his first nomination). The 90 minute BBC drama takes us through Hawking’s life, from the age of 21 to the completion of his PhD on the revolutionary idea of The Big Bang two years later and was the first time I’d ever considered his life as a young man, rather than the image we all have of him as he is today. To deliver such a strong, powerful performance so early in his career should have left no one with any doubt that he would go on to be a success. Over the course of the drama we see Hawking’s illness begin to take a firmer hold on him as he carries on with such fierce determination. 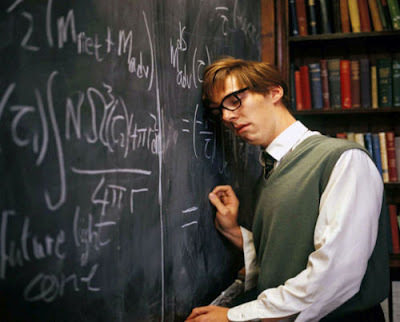 Everything about this performance is impressive, its physicality, wit, intelligence and vulnerability are all so realistically conveyed that by the end I’d almost forgotten I wasn’t watching Hawking himself. I will certainly be curious to see how Eddie Redmayne’s upcoming portrayal compares to this one. If asked in interviews what his favourite role has been to date, Benedict himself has singled out Christopher Tietjens and I can understand why, as it’s a truly stunning character and performance by him. I’ve tried to read this novel in the past and never made it to the end (I must try again in 2015) and having it brought to life in Tom Stoppard’s incredible adaptation was fantastic. He is not a straightforward character and through the role we see a man caught in no man’s land between old and new England and his struggle to do what is right according to his moral compass, even when at odds with those around him and possibly at the expense of his own happiness. The scene in which he describes the trenches to Silvia is heart wrenching and truly highlights how the experience affected the brave men who were there. Then there is his relationships with Silvia and the forward-thinking Valentine, with whom his chemistry leaps from the screen. Utterly beautiful from start to finish. Undoubtably his most well known role remains that of Sherlock Holmes, which has helped propel his rise of recent years up the Hollywood A-list. I love the show and am thrilled at both its success and the success that has followed for its superb ensemble cast. 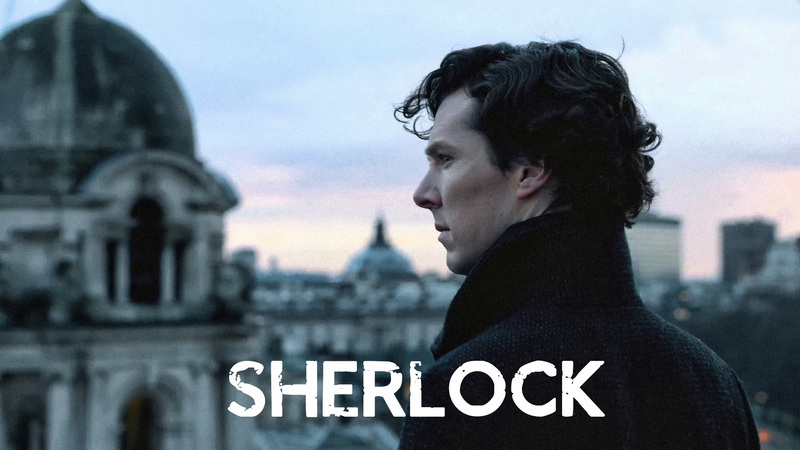 Growing up with the image of Sherlock as an old Victorian figure, Cumberbatch’s portrayal has revitalised the character for a new generation. It enables him to showcase his ability to tackle drama, heightened emotion, comedy and even action through an incredibly interesting and multi-layered character and it is certainly one of his defining roles, which I hope will carry on for years to come. After The Dance will forever have a special place in my heart and remains my favourite of all the theatre productions I have seen to date. It was also my first experience of seeing Mr Cumberbatch on stage and I’m so pleased I was able to see it twice over its limited run. At its heart, the play is about love – the sadness of loving the wrong person, loving someone who you do not think loves you or to whom you dare not admit your true feelings or loving someone enough to realise the best thing for them is to walk away from them. It is this aspect of the play which has such an impact on me and very few pieces of theatre I have seen have moved me quite so much. 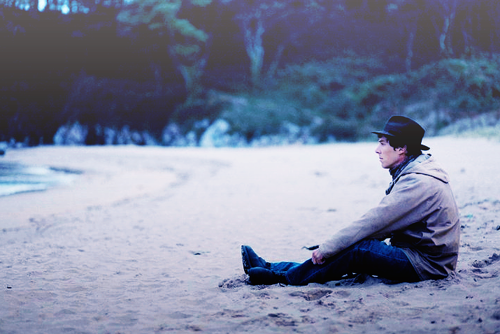 I still find it incredible how Benedict seems to transform into someone so much older than himself in this role. As David Scott-Fowler he not only looks older, but through his voice, mannerisms and the way he holds himself, you cannot quite believe it is the same person. The final act requires a great deal of emotion from him and he conveys it all superbly and you can’t take your eyes off him for a moment. You can read my full review here. Another stage role that truly impressed me and again made me appreciate the joy of live performance was Benedict’s involvement in the Royal Court Theatre’s Playwright’s Playwrights one off rehearsed reading of John Osbourne’s Look Back In Anger, in which he played the lead role of Jimmy Porter, alongside Rebecca Hall as his wife, Anna Maxwell Martin, Matt Ryan and Julian Wadham. For anyone yet to experience a rehearsed reading, the actors simply sit on the stage, script in hand and read the play, this time with only a day to prepare. There is some physicality depending on the role and the actor but no set, costume and limited props and it’s an interesting experience for anyone with a love of theatre to see. What made this a defining role for me was that it wasn’t a role I’d imagined him playing, but yet by the end I would have signed up to fund a full production! All the cast were excellent, particularly Rebecca Hall, whose chemistry with Cumberbatch made the prospect of Parade’s End even more exciting at the time. However Benedict truly made this more than a reading. He didn’t have a bound, hardback script and was constantly on his feet, folding the pages over on his paper copy, giving as much performance as there could be, bringing a depth to the deeply unlikeable Porter. He is cruel, hurtful and treats those around him dreadfully and yet Cumberbatch was able to bring out the more vulnerable side to him as well. It highlighted yet again how talented he is and how he doesn’t need all the trimmings of a production to create very real, powerful characters. It may not be the performance of his career for me, but his role as Alan Turing in The Imitation Game is still superb and worthy of the praise and attention it is receiving from critics and filmgoers alike. It is certainly a role which I cannot imagine any other actor of today being able to play. Having little to go on as to Turing’s voice, mannerisms etc. the role needed an actor capable of creating something completely believable and true to the man being portrayed and Cumberbatch does this so perfectly. His Turing is a loner by nature, uncomfortable with social interaction and far more at ease focussing on logic and statistics. One of the skills he is always able to bring to a role is the ability to convey so much internal emotion and thought with little or no dialogue. There are moments in The Imitation Game where you simply look in to his eyes and can see everything Turing is considering, discarding, confused by or struggling to cope with and this certainly makes you care about the man himself. You can read my full review of the film here. 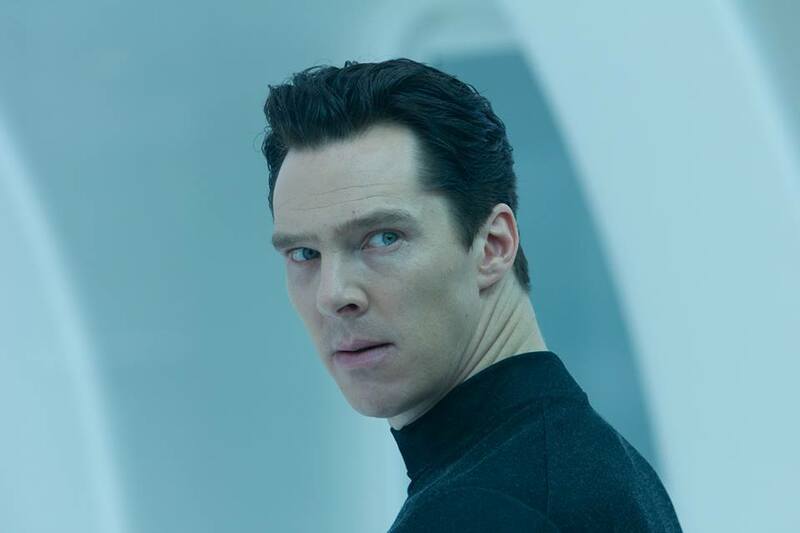 When it was announced that Benedict Cumberbatch was to be the villain in the new Star Trek film there was excitement and some uncertainty as to whether he was the right fit for a blockbuster action film of this scale. I thought this film was brilliant and that his portrayal of “John Harrison” lifted its overall quality level. This isn’t just a two-dimensional villain and Cumberbatch is able to convey the rationale for his actions in such a way that the audience actually begins to understand his motivations. It’s also a brilliantly simmering performance, as you are constantly waiting for Harrison to erupt and Benedict is able to sustain this anticipation as his calm, clinical villain bides his time until his full rage emerges. A smart, mature role in a genre where you perhaps weren’t expecting it. There were aspects of Danny Boyle’s production of Frankenstein that I didn’t like (some of the script and certain supporting characters felt weak and wooden), but the central performances by Jonny Lee Miller and Benedict Cumberbatch, combined with the clever idea to have them swap roles each day, lifted this production to be better than in lesser hands it perhaps could have been. I managed to see both versions live and although both were enjoyable, it was the “Cumber Creature” that impressed me the most and that’s a testament to Mr Cumberbatch seeing as I saw the very first preview performance. It’s always thrilling to be among the first audience to see a new play and there was certainly lots of anticipation in the Olivier that night. The role of the Creature is undoubtably the tougher of the two, requiring the actor to effectively move through all stages of life over the course of the evening. Watching Benedict emerge from the cocoon on stage and spend the next 20 minutes convincingly embodying a newly born creature, twitching and testing its limbs and vocal chords was simply astonishing (and no that’s not because of the lack of clothes, which must have been daunting for both actors!). He achieved a difficult task in the role, in that I sympathised with the Creature and despite his later horrifying actions, was still able to see how the prejudices of those around him ultimately led to what he becomes, from the innocent newborn of 90 minutes before. It’s wonderful that through NT Live Encore more and more people have been able to see this production. Making my final choice was a difficult one, with so many other impressive roles to pick from. 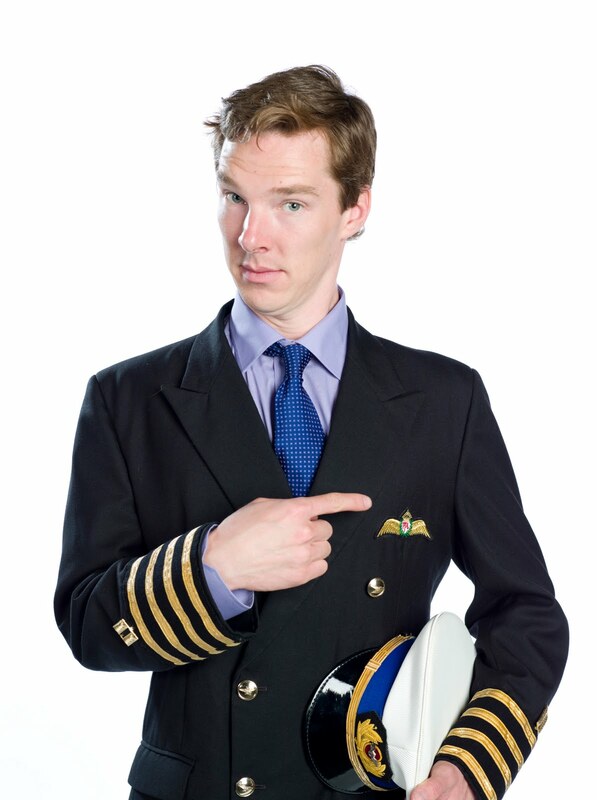 In the end I have chosen a role vastly lighter in tone, in the form of Martin Crieff in John Finnemore’s wonderfully entertaining Radio 4 comedy series Cabin Pressure. Beginning in 2008, I only discovered it in 2011 and was lucky enough to go along to a recording of it in London that year. The hilarity is set at MJN Air, a one-plane charter airline run by Carolyn Knapp-Shappey (Stephanie Cole). Alongside her in this venture is her crew of Crieff and First Officer Douglas Richardson (the superbly talented Roger Allam), not to mention the hopeless Arthur (played by Finnemore himself). The series was a success in its own right but unsurprisingly, the growing attention on Cumberbatch has also brought a whole new audience to this radio drama (ticket requests for the recording of its final episode broke records). It’s a refreshing change of tone and pace for him, which allows the thrill of live performance but the benefit of repeat takes. Finnemore’s writing is witty, sharp and heartfelt as MJN Air is ultimately a little family unit with all the usual family dynamics and it’s lovely that Benedict has made sure he continued with it until the very end, highlighting that it’s not just about Hollywood movies for him. Being able to see this recorded live was a real treat and as I’ve sensibly saved some episodes for later listening, meaning I still have a few hours left of Cabin Pressure to enjoy leading up to the final episode, to be aired on BBC Radio 4 this Christmas. If you want something to make you laugh and raise your spirits I can’t recommend it enough. So…..that’s my list. Those that almost made it include Patrick Watts from Starter For Ten (2006), Wallace from short film Little Favour (2013), Little Charles from August: Osage County (2013) and for something very different Smaug from The Hobbit series. I’m sure people will have there own views, which will no doubt differ from mine, but that’s one of the joys of an actor capable of great range and variety. 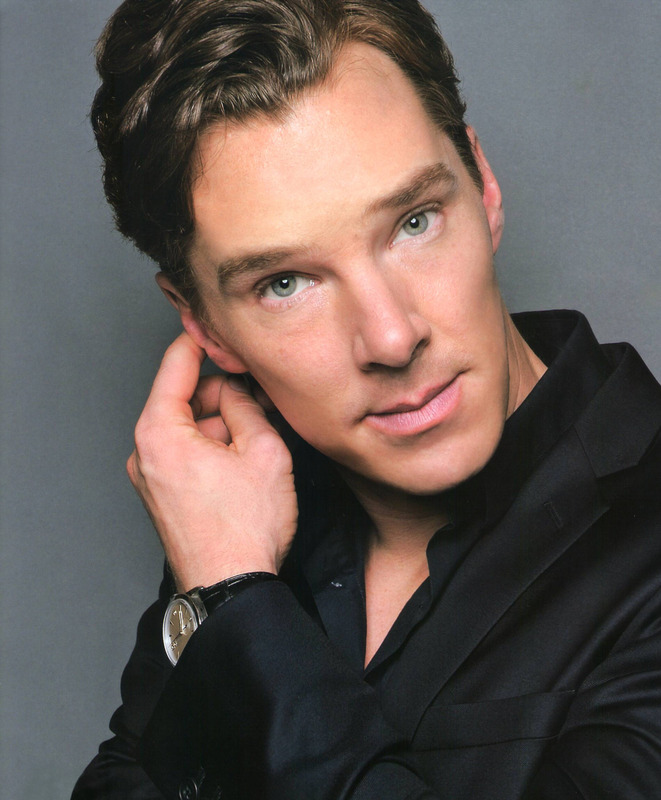 I’m also sure this list will continue to evolve over his career, with already some exciting prospects on the horizon (Marvel’s Doctor Strange, Hamlet on stage – see my fantasy cast here and Richard III for the BBC Hollow Crown series to name just three). I look forward to hearing your choices! Coming next, one of the actresses I have admired for years and whose career seems to only keep going up – Gillian Anderson.